Networking has always been considered to be a most potent tool for the lead generators in their bid to Generate Business Leads in large quantities. The changed business scenario today makes the job to generate business leads a tough one, possessing a strong network of people will definitely help your cause. As sales people often say, sales leads are not going to drop from nowhere. Business networking is a time-tested tool for getting new business and often shorten the sales cycle. These networks, on social media and in real world, help you easily get in touch with the desired decision makers, seek essential information and advice from industry peers, and generate business leads in good numbers. A solid business network goes a long way in enabling you to keep your sales pipeline filled with a continuous flow of quality leads. Here are some useful tips for developing a good business network. Starting with a clear strategy is essential for developing a strong business network. Networking is a long-term activity that requires a lot of time and effort. 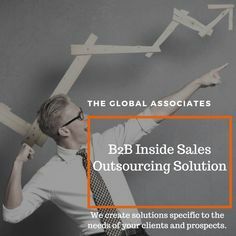 To get the best out of it, one should be clear about the types of companies they want to connect with, the persons they want in their network, the known personalities within those companies etc. Working with definite goals and a clear strategy will ensure good results. You need to follow the principle of “give and take” to develop sustainable business relationships. Working with a selfish motive will never pay rich dividends. One must pay benefactors back with references, contacts and referrals whenever possible. This will encourage people in your network to trust you and extend their help with pleasure. Beginning with your industry specific contacts is of course logical and natural, but limiting yourself just to these people could limit your ability to generate business leads in good quantities. It’s imperative to extend your network to people beyond this small circle, fresh opportunities are often created through people in other walks of life. We have to understand that these people too have their own networks. Lead generators must necessarily deal with people in order to generate business leads in good numbers; a strong business network is a potent tool to help them in this endeavor. Begin with a clear strategy, be ready to pay back people who help you, and extend your network beyond a limited circle to taste greater success and develop an effective network.